Hard to believe, but it's been a year since our cross-country road trip. It feels half that. That's the thing about getting older: the velocity of time accelerates with age. When I was a kid, I would get bored and try to pass time like it was in overabundance. What a fool I was. Now I don't have enough time to do all the things I want. For example, I used to stubbornly finish a novel even when I didn't enjoy it. Not anymore. Even if people stop writing new books and I devote the rest of my life to reading, I still won't cover all the books I want to read. That I used to waste time, the most nonrenewable asset of all, seems horrendous. It's like burning a $100 bill to light a cigarette, something I saw on the TV show The Wire. After a year to reflect on all the locales we saw on our road trips, I'd say the Pacific Northwest remains my favorite. Portland, in particular. To be sure, there are many other fine places I still remember fondly. Canada is wonderful, especially Nova Scotia. That is a place with poetic beauty and barely any crowds. Boats floating in quaint fishing villages, rivers meandering through lush forests, turtles basking beneath the toasty sun ... The province even makes wine, really tasty ones. And of course there are the lonely lighthouses, must-sees for aficionados of melancholy. Nova Scotia is a gorgeous little secret that few tourists know about. As for the US, there are definitely areas I'd like to see again. Northern Virginia is one. I lived there for a couple years in high school, so there was some nostalgia as I visited my old school and house in Chantilly. 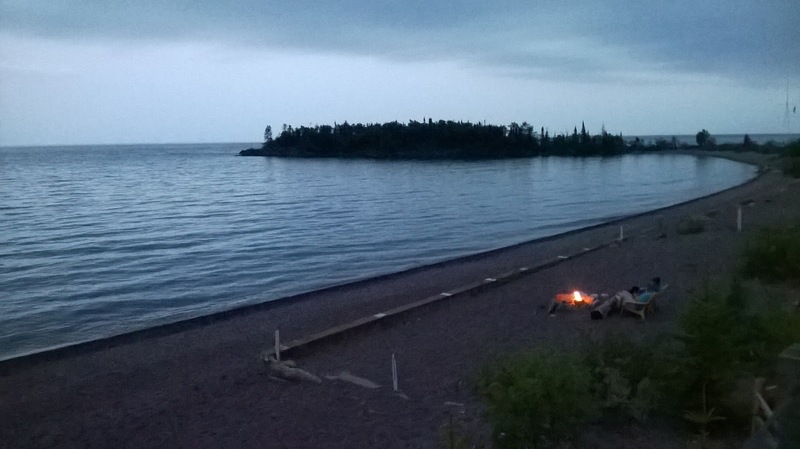 Grand Marais in Minnesota is one of the most romantic towns I've visited. There were many underrated surprises, like the boundless cornfields of Iowa. They don't get a lot of adoration, but I found them to be really pretty. And corn is delicious, though I wish it wasn't so sweet. In New Mexico, the cities of Santa Fe and Taos have a mellow and warm vibe. I could eat that fluffy Indian fry bread all day. Some of the cities I thought I'd like didn't end up wowing me. One place that wasn't on my radar before is on it now. Omaha is swell. I didn't know much about the city, aside from it being the home of Warren Buffet. If one of the world's smartest and richest people lives there, it tells you something. The people are nice. The size is a good balance - not too big to be congested, but big enough to have all the conveniences. It's not always easy to articulate why the feel of a place is right. It's like people. You meet some folks, and within a few minutes you can tell that you click or don't click with them. The intangibles make all the difference.